CARFAX 1-Owner. CRYSTAL WHITE PEARL MICA exterior and BLACK interior, Mazda3 i Touring trim. FUEL EFFICIENT 33 MPG Hwy/24 MPG City! Bluetooth, CD Player, Alloy Wheels, iPod/MP3 Input. CLICK NOW! KEY FEATURES INCLUDE iPod/MP3 Input, Bluetooth, CD Player, Aluminum Wheels MP3 Player, Keyless Entry, Remote Trunk Release, Child Safety Locks, Steering Wheel Controls. Mazda Mazda3 i Touring with CRYSTAL WHITE PEARL MICA exterior and BLACK interior features a 4 Cylinder Engine with 148 HP at 6500 RPM*. EXPERTS RAVE CarAndDriver.com's review says A must-shop for those who like driving, Mazda's bestseller got new sheetmetal, an upgraded interior, and more power last year, solidifying its status as a bargain BMW.. Great Gas Mileage: 33 MPG Hwy. SHOP WITH CONFIDENCE CARFAX 1-Owner Pricing analysis performed on 4/22/2019. Horsepower calculations based on trim engine configuration. Fuel economy calculations based on original manufacturer data for trim engine configuration. Please confirm the accuracy of the included equipment by calling us prior to purchase. Extra Clean, GREAT MILES 68,387! MX-5 Miata Sport trim. EPA 28 MPG Hwy/22 MPG City! CD Player, iPod/MP3 Input, Alloy Wheels, Edmunds.com explains Miata is still unequaled when it comes to overall driving enjoyment and refinement.. CLICK ME! 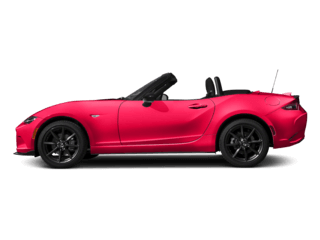 EXCELLENT SAFETY FOR YOUR FAMILY 4-Wheel ABS, 4-Wheel Disc Brakes, Tire Pressure Monitoring System Safety equipment includes 4-Wheel ABS Mazda MX-5 Miata Sport with Copper Red Mica exterior and Black interior features a 4 Cylinder Engine with 167 HP at 7000 RPM*. VEHICLE FEATURES MP3 Player, Remote Trunk Release, Bucket Seats Non-Smoker vehicle, Local trade, LOW MILES. 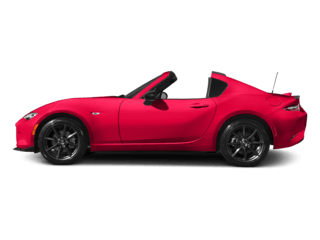 EXPERTS ARE SAYING Miata is still unequaled when it comes to overall driving enjoyment and refinement. -Edmunds.com. Great Gas Mileage: 28 MPG Hwy. Horsepower calculations based on trim engine configuration. Fuel economy calculations based on original manufacturer data for trim engine configuration. Please confirm the accuracy of the included equipment by calling us prior to purchase. CARFAX 1-Owner, GREAT MILES 67,458! Moonroof, Nav System, Heated Leather Seats, Third Row Seat, iPod/MP3 Input, Rear Air, Bluetooth, Aluminum Wheels, GRAND TOURING ASSISTANCE PKG, Consumer Guide Best Buy SUV. CLICK NOW! PREMIUM FEATURES ON THIS CX-9 INCLUDE GRAND TOURING ASSISTANCE PKG touch screen DVD navigation system w/voice command, rearview camera, pwr hatch, MOONROOF & BOSE AUDIO PKG pwr glass sliding moonroof w/interior sunshade, Bose Centerpoint 5.1 surround sound system w/(10) speakers, in-dash 6-disc CD changer, REMOTE ENGINE START, BLIND SPOT MONITORING SYSTEM MAZDA CX-9: UNMATCHED RELIABILITY CARFAX 1-Owner. Qualifies for CARFAX Buyback Guarantee. 5 Star Driver Front Crash Rating. 5 Star Driver Side Crash Rating. KEY FEATURES ON THIS CX-9 INCLUDE Leather Seats, Third Row Seat, Rear Air, Heated Driver Seat, iPod/MP3 Input, Bluetooth, Aluminum Wheels, Dual Zone A/C, Heated Seats, Heated Leather Seats Rear Spoiler, Privacy Glass, Keyless Entry, Steering Wheel Controls, Child Safety Locks. 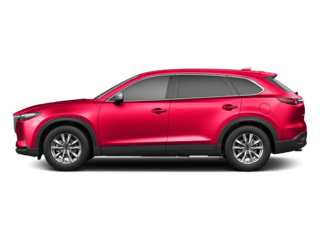 Mazda CX-9 Grand Touring with LIQUID PLATINUM METALLIC exterior and BLACK INTERIOR interior features a V6 Cylinder Engine with 273 HP at 6250 RPM*. 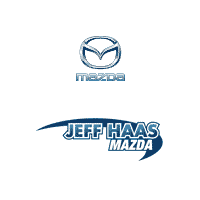 BEST IN CLASS: MAZDA CX-9 More 2nd and 3rd Row Leg Room than Toyota Highlander, Honda Pilot, and Subaru Tribeca. Pricing analysis performed on 4/22/2019. Horsepower calculations based on trim engine configuration. Please confirm the accuracy of the included equipment by calling us prior to purchase. Extra Clean. FUEL EFFICIENT 32 MPG Hwy/26 MPG City! Heated Leather Seats, Moonroof, Bluetooth, Keyless Start, Dual Zone A/C, iPod/MP3 Input, Back-Up Camera, Aluminum Wheels, Satellite Radio, Premium Sound System. READ MORE! KEY FEATURES INCLUDE Leather Seats, Sunroof, Heated Driver Seat, Back-Up Camera, Premium Sound System, Satellite Radio, iPod/MP3 Input, Bluetooth, Aluminum Wheels, Keyless Start, Dual Zone A/C, Blind Spot Monitor, Heated Seats, Heated Leather Seats Rear Spoiler, MP3 Player, Keyless Entry, Privacy Glass, Steering Wheel Controls. 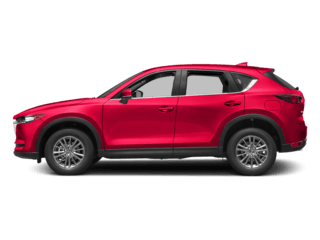 Mazda CX-5 Grand Touring with Zeal Red Mica exterior and Black interior features a 4 Cylinder Engine with 155 HP at 6000 RPM*. Non-Smoker vehicle, Local trade, LOW MILES. EXPERTS ARE SAYING Edmunds.com explains With its fuel-efficient engine, engaging driving experience and daring styling, the 2013 Mazda CX-5 is a good pick for those seeking a sporty yet thrifty crossover SUV.. Great Gas Mileage: 32 MPG Hwy. A GREAT TIME TO BUY Was $13,449. This CX-5 is priced $2,100 below NADA Retail. Pricing analysis performed on 4/22/2019. Horsepower calculations based on trim engine configuration. Fuel economy calculations based on original manufacturer data for trim engine configuration. Please confirm the accuracy of the included equipment by calling us prior to purchase. Mazda3 i Touring trim. FUEL EFFICIENT 41 MPG Hwy/30 MPG City! Extra Clean, CARFAX 1-Owner. Keyless Start, Blind Spot Monitor, Cross-Traffic Alert, Bluetooth, Alloy Wheels, Back-Up Camera, iPod/MP3 Input, Non-Smoker vehicle AND MORE! KEY FEATURES INCLUDE Back-Up Camera, iPod/MP3 Input, Bluetooth, Aluminum Wheels, Keyless Start, Blind Spot Monitor, Cross-Traffic Alert. Rear Spoiler, MP3 Player, Keyless Entry, Remote Trunk Release, Child Safety Locks. Mazda Mazda3 i Touring with Liquid Silver Metallic exterior and Black interior features a 4 Cylinder Engine with 155 HP at 6000 RPM*. Non-Smoker vehicle. EXPERTS ARE SAYING Edmunds.com's review says Purposeful styling, fuel-efficient engines and an ideal ride and handling balance keep the 2015 Mazda 3 among our favorites in the compact car class.. Great Gas Mileage: 41 MPG Hwy. AFFORDABILITY Was $13,291. Pricing analysis performed on 4/17/2019. Horsepower calculations based on trim engine configuration. Fuel economy calculations based on original manufacturer data for trim engine configuration. Please confirm the accuracy of the included equipment by calling us prior to purchase. Extra Clean. CX-5 Touring trim. FUEL EFFICIENT 32 MPG Hwy/25 MPG City! CD Player, Bluetooth, Blind Spot Monitor, Keyless Start, Alloy Wheels, SOUL RED METALLIC PAINT, iPod/MP3 Input, Back-Up Camera. AND MORE! KEY FEATURES INCLUDE Back-Up Camera, iPod/MP3 Input, Bluetooth, CD Player, Aluminum Wheels, Keyless Start, Blind Spot Monitor. Rear Spoiler, MP3 Player, Privacy Glass, Keyless Entry, Steering Wheel Controls. OPTION PACKAGES SOUL RED METALLIC PAINT. 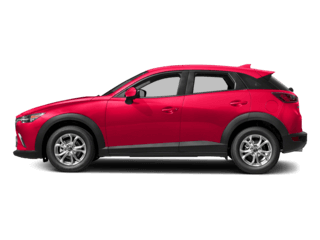 Mazda CX-5 Touring with Soul Red exterior and Sand interior features a 4 Cylinder Engine with 184 HP at 5700 RPM*. Non-Smoker vehicle, Local trade. EXPERTS RAVE With its spacious, functional interior, impressive fuel economy and top safety scores, the 2015 Mazda CX-5 is a top pick among small crossovers. The fact that it's also fun to drive comes as a bonus. -Edmunds.com. EXCELLENT SAFETY FOR YOUR FAMILY Child Safety Locks, Electronic Stability Control, Brake Assist, 4-Wheel ABS, Tire Pressure Monitoring System, 4-Wheel Disc Brakes Great Gas Mileage: 32 MPG Hwy. Pricing analysis performed on 4/22/2019. Horsepower calculations based on trim engine configuration. Fuel economy calculations based on original manufacturer data for trim engine configuration. Please confirm the accuracy of the included equipment by calling us prior to purchase. CARFAX 1-Owner. FUEL EFFICIENT 41 MPG Hwy/30 MPG City! Moonroof, Nav System, Heated Seats, Bluetooth, Keyless Start, Dual Zone A/C, iPod/MP3 Input, Back-Up Camera, Aluminum Wheels, Satellite Radio, Premium Sound System AND MORE! KEY FEATURES INCLUDE Navigation, Sunroof, Heated Driver Seat, Back-Up Camera, Premium Sound System, Satellite Radio, iPod/MP3 Input, Bluetooth, Aluminum Wheels, Keyless Start, Dual Zone A/C, Blind Spot Monitor, Cross-Traffic Alert, Heated Seats. Rear Spoiler, MP3 Player, Keyless Entry, Remote Trunk Release, Steering Wheel Controls. Mazda Mazda3 i Grand Touring with JET BLACK MICA exterior and BLACK interior features a 4 Cylinder Engine with 155 HP at 6000 RPM*. EXPERTS ARE SAYING Edmunds.com's review says Purposeful styling, fuel-efficient engines and an ideal ride and handling balance keep the 2015 Mazda 3 among our favorites in the compact car class.. Great Gas Mileage: 41 MPG Hwy. AFFORDABLE TO OWN Was $12,991. This Mazda3 is priced $2,000 below NADA Retail. SHOP WITH CONFIDENCE CARFAX 1-Owner Pricing analysis performed on 4/22/2019. Horsepower calculations based on trim engine configuration. Fuel economy calculations based on original manufacturer data for trim engine configuration. Please confirm the accuracy of the included equipment by calling us prior to purchase. CX-9 Touring trim. FUEL EFFICIENT 24 MPG Hwy/17 MPG City! Heated Leather Seats, 3rd Row Seat, CD Player, Dual Zone A/C, Cross-Traffic Alert, Bluetooth, Rear Air, Alloy Wheels, iPod/MP3 Input, Back-Up Camera. CLICK NOW! KEY FEATURES INCLUDE Leather Seats, Third Row Seat, Rear Air, Heated Driver Seat, Back-Up Camera, iPod/MP3 Input, Bluetooth, CD Player, Aluminum Wheels, Dual Zone A/C, Cross-Traffic Alert, Blind Spot Monitor, Heated Seats, Heated Leather Seats. Rear Spoiler, MP3 Player, Keyless Entry, Privacy Glass, Child Safety Locks. Mazda CX-9 Touring with JET BLACK MICA exterior and BLACK interior features a V6 Cylinder Engine with 273 HP at 6250 RPM*. EXPERTS ARE SAYING Edmunds.com's review says The 2014 Mazda CX-9's V6 offers strong acceleration for both around-town driving and highway passing. The automatic transmission is also pleasing, offering quick and timely shifts.. Great Gas Mileage: 24 MPG Hwy. A GREAT TIME TO BUY This CX-9 is priced $400 below NADA Retail. Pricing analysis performed on 4/20/2019. Horsepower calculations based on trim engine configuration. Fuel economy calculations based on original manufacturer data for trim engine configuration. Please confirm the accuracy of the included equipment by calling us prior to purchase. CARFAX 1-Owner, ONLY 38,200 Miles! FUEL EFFICIENT 40 MPG Hwy/30 MPG City! TITANIUM FLASH MICA exterior and BLACK interior. Keyless Start, Smart Device Integration, Onboard Communications System, Back-Up Camera, iPod/MP3 Input. READ MORE! KEY FEATURES INCLUDE Back-Up Camera, iPod/MP3 Input, Onboard Communications System, Keyless Start, Smart Device Integration Rear Spoiler, MP3 Player, Keyless Entry, Child Safety Locks, Steering Wheel Controls. 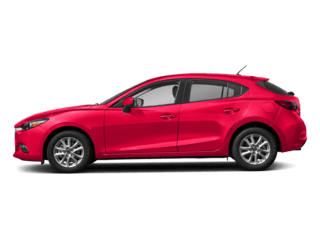 Mazda Mazda3 i Sport with TITANIUM FLASH MICA exterior and BLACK interior features a 4 Cylinder Engine with 155 HP at 6000 RPM*. EXPERTS ARE SAYING The front seats are comfortable and supportive, and the sporty bolstering nicely complements the car's nimble handling abilities. -Edmunds.com. Great Gas Mileage: 40 MPG Hwy. AFFORDABLE TO OWN Was $14,191. This Mazda3 is priced $600 below NADA Retail. SHOP WITH CONFIDENCE CARFAX 1-Owner Pricing analysis performed on 4/19/2019. Horsepower calculations based on trim engine configuration. Fuel economy calculations based on original manufacturer data for trim engine configuration. Please confirm the accuracy of the included equipment by calling us prior to purchase. FUEL EFFICIENT 41 MPG Hwy/30 MPG City! CARFAX 1-Owner, Extra Clean, GREAT MILES 30,324! Keyless Start, Smart Device Integration, Onboard Communications System, Back-Up Camera, iPod/MP3 Input, Non-Smoker vehicle, LOW MILES READ MORE! KEY FEATURES INCLUDE Back-Up Camera, iPod/MP3 Input, Onboard Communications System, Keyless Start, Smart Device Integration MP3 Player, Keyless Entry, Remote Trunk Release, Steering Wheel Controls, Child Safety Locks. Mazda Mazda3 i Sport with Deep Crystal Blue Mica exterior and Black interior features a 4 Cylinder Engine with 155 HP at 6000 RPM*. Non-Smoker vehicle, LOW MILES. EXPERTS ARE SAYING The front seats are comfortable and supportive, and the sporty bolstering nicely complements the car's nimble handling abilities. -Edmunds.com. Great Gas Mileage: 41 MPG Hwy. AFFORDABLE Was $13,991. Pricing analysis performed on 4/17/2019. Horsepower calculations based on trim engine configuration. Fuel economy calculations based on original manufacturer data for trim engine configuration. Please confirm the accuracy of the included equipment by calling us prior to purchase. CARFAX 1-Owner, Extra Clean, LOW MILES - 29,784! Liquid Silver Metallic exterior and Black interior. EPA 41 MPG Hwy/30 MPG City! Keyless Start, Smart Device Integration, Onboard Communications System, Back-Up Camera, iPod/MP3 Input AND MORE! KEY FEATURES INCLUDE Back-Up Camera, iPod/MP3 Input, Onboard Communications System, Keyless Start, Smart Device Integration. MP3 Player, Keyless Entry, Remote Trunk Release, Steering Wheel Controls, Child Safety Locks. Mazda Mazda3 i Sport with Liquid Silver Metallic exterior and Black interior features a 4 Cylinder Engine with 155 HP at 6000 RPM*. Serviced here, Non-Smoker vehicle, Local trade, LOW MILES. EXPERTS ARE SAYING Edmunds.com's review says The front seats are comfortable and supportive, and the sporty bolstering nicely complements the car's nimble handling abilities.. Great Gas Mileage: 41 MPG Hwy. AFFORDABILITY Was $14,091. This Mazda3 is priced $200 below NADA Retail. PURCHASE WITH CONFIDENCE CARFAX 1-Owner Pricing analysis performed on 4/17/2019. Horsepower calculations based on trim engine configuration. Fuel economy calculations based on original manufacturer data for trim engine configuration. Please confirm the accuracy of the included equipment by calling us prior to purchase. SOUL RED METALLIC exterior and BLACK interior. FUEL EFFICIENT 35 MPG Hwy/26 MPG City! CD Player, Onboard Communications System, Keyless Start, iPod/MP3 Input, SOUL RED METALLIC PAINT CHARGE, Alloy Wheels, Back-Up Camera AND MORE! KEY FEATURES INCLUDE Back-Up Camera, iPod/MP3 Input, CD Player, Onboard Communications System, Aluminum Wheels, Keyless Start. MP3 Player, Keyless Entry, Remote Trunk Release, Steering Wheel Controls, Child Safety Locks. OPTION PACKAGES SOUL RED METALLIC PAINT CHARGE. 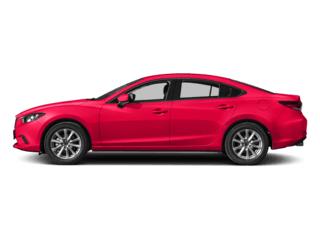 Mazda Mazda6 Sport with SOUL RED METALLIC exterior and BLACK interior features a 4 Cylinder Engine with 184 HP at 5700 RPM*. EXPERTS ARE SAYING Edmunds.com's review says At its core, the 2017 Mazda 6 is a competent, comfortable and sensible midsize family sedan. When you add in strong performance, plenty of driver engagement and evocative styling, it's easy to see why it's one of our favorite midsize family sedans.. Great Gas Mileage: 35 MPG Hwy. PRICED TO MOVE Was $15,791. This Mazda6 is priced $1,100 below NADA Retail. Pricing analysis performed on 4/22/2019. Horsepower calculations based on trim engine configuration. Fuel economy calculations based on original manufacturer data for trim engine configuration. Please confirm the accuracy of the included equipment by calling us prior to purchase. CARFAX 1-Owner, Extra Clean. EPA 41 MPG Hwy/30 MPG City! Sunroof, Smart Device Integration, Keyless Start, Cross-Traffic Alert, Blind Spot Monitor, Back-Up Camera, Alloy Wheels, Onboard Communications System, iPod/MP3 Input AND MORE! KEY FEATURES INCLUDE Sunroof, Back-Up Camera, iPod/MP3 Input, Onboard Communications System, Aluminum Wheels, Keyless Start, Smart Device Integration, Blind Spot Monitor, Cross-Traffic Alert. Rear Spoiler, MP3 Player, Remote Trunk Release, Keyless Entry, Child Safety Locks. Mazda Mazda3 i Touring with Meteor Gray Mica exterior and Black interior features a 4 Cylinder Engine with 155 HP at 6000 RPM*. Non-Smoker vehicle. EXPERTS CONCLUDE Edmunds.com's review says The front seats are comfortable and supportive, and the sporty bolstering nicely complements the car's nimble handling abilities.. Great Gas Mileage: 41 MPG Hwy. A GREAT TIME TO BUY Reduced from $14,991. This Mazda3 is priced $800 below NADA Retail. SHOP WITH CONFIDENCE CARFAX 1-Owner Pricing analysis performed on 4/19/2019. Horsepower calculations based on trim engine configuration. Fuel economy calculations based on original manufacturer data for trim engine configuration. Please confirm the accuracy of the included equipment by calling us prior to purchase. Extra Clean, CARFAX 1-Owner. FUEL EFFICIENT 33 MPG Hwy/26 MPG City! Deep Crystal Blue Mica exterior and Sand/Parchment interior, CX-5 Sport trim. Keyless Start, Alloy Wheels, REAR CAMERA PACKAGE, Non-Smoker vehicle. SEE MORE! KEY FEATURES INCLUDE Aluminum Wheels, Keyless Start Rear Spoiler, Keyless Entry, Remote Trunk Release, Child Safety Locks, Steering Wheel Controls. OPTION PACKAGES REAR CAMERA PACKAGE Rear View Camera, Radio: AM/FM/CD/HD Modular Audio System w/4 Spkrs, 7 full-color touch-screen display, Automatic Level Control (ALC), MP3 capability, digital clock, audio menu voice-command, auxiliary audio input jack, Bluetooth hands free phone and audio, multi-function Commander Control, satellite radio-compatible audio system (requires additional dealer-installed hardware), and USB audio input, MAZDA CONNECT Infotainment System, Aha Internet Radio, Pandora Internet Radio, Infotainment System Voice Command, E911 Automatic Emergency Notification, Stitcher Internet Radio, Radio Broadcast Data System Program Information, SMS Text Msg Audio Delivery & Reply. Mazda CX-5 Sport with Deep Crystal Blue Mica exterior and Sand/Parchment interior features a 4 Cylinder Engine with 184 HP at 5700 RPM*. Non-Smoker vehicle. VEHICLE REVIEWS Edmunds.com explains With its spacious, functional interior, impressive fuel economy and top safety scores, the 2016 Mazda CX-5 is a top pick among small crossovers. The CX-5's fun-to-drive demeanor is just a welcome bonus.. Great Gas Mileage: 33 MPG Hwy. A GREAT TIME TO BUY Was $16,991. This CX-5 is priced $2,100 below NADA Retail. Pricing analysis performed on 4/22/2019. Horsepower calculations based on trim engine configuration. Fuel economy calculations based on original manufacturer data for trim engine configuration. Please confirm the accuracy of the included equipment by calling us prior to purchase. CARFAX 1-Owner, Extra Clean. Mazda3 i Touring trim. Sunroof, Smart Device Integration, Keyless Start, Cross-Traffic Alert, Blind Spot Monitor, Onboard Communications System, Alloy Wheels, Back-Up Camera, iPod/MP3 Input. CLICK NOW! KEY FEATURES INCLUDE Sunroof, Back-Up Camera, iPod/MP3 Input, Onboard Communications System, Aluminum Wheels, Keyless Start, Smart Device Integration, Blind Spot Monitor, Cross-Traffic Alert. Rear Spoiler, MP3 Player, Remote Trunk Release, Keyless Entry, Child Safety Locks. Mazda Mazda3 i Touring with Snowflake White Pearl Mica exterior and Black interior features a 4 Cylinder Engine with 155 HP at 6000 RPM*. Non-Smoker vehicle. EXPERTS REPORT The front seats are comfortable and supportive, and the sporty bolstering nicely complements the car's nimble handling abilities. -Edmunds.com. Great Gas Mileage: 41 MPG Hwy. EXCELLENT VALUE Reduced from $15,284. This Mazda3 is priced $900 below NADA Retail. BUY WITH CONFIDENCE CARFAX 1-Owner Pricing analysis performed on 4/17/2019. Horsepower calculations based on trim engine configuration. Fuel economy calculations based on original manufacturer data for trim engine configuration. Please confirm the accuracy of the included equipment by calling us prior to purchase. CARFAX 1-Owner, LOW MILES - 33,435! EPA 41 MPG Hwy/30 MPG City! Moonroof, Smart Device Integration, Keyless Start, Blind Spot Monitor, Cross-Traffic Alert, Back-Up Camera, Aluminum Wheels, Onboard Communications System CLICK NOW! KEY FEATURES INCLUDE Sunroof, Back-Up Camera, iPod/MP3 Input, Onboard Communications System, Aluminum Wheels, Keyless Start, Smart Device Integration, Cross-Traffic Alert, Blind Spot Monitor. Rear Spoiler, MP3 Player, Remote Trunk Release, Keyless Entry, Steering Wheel Controls. 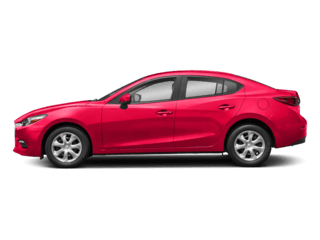 Mazda Mazda3 i Touring with DEEP CRYSTAL BLUE MICA exterior and BLACK interior features a 4 Cylinder Engine with 155 HP at 6000 RPM*. EXPERTS RAVE The front seats are comfortable and supportive, and the sporty bolstering nicely complements the car's nimble handling abilities. -Edmunds.com. Great Gas Mileage: 41 MPG Hwy. PRICED TO MOVE Reduced from $15,291. This Mazda3 is priced $1,200 below NADA Retail. SHOP WITH CONFIDENCE CARFAX 1-Owner Pricing analysis performed on 4/13/2019. Horsepower calculations based on trim engine configuration. Fuel economy calculations based on original manufacturer data for trim engine configuration. Please confirm the accuracy of the included equipment by calling us prior to purchase. FUEL EFFICIENT 32 MPG Hwy/25 MPG City! CX-5 Grand Touring trim. Heated Leather Seats, Sunroof, Bluetooth, Keyless Start, Dual Zone A/C, iPod/MP3 Input, Back-Up Camera, Alloy Wheels, Satellite Radio, Premium Sound System. READ MORE! KEY FEATURES INCLUDE Leather Seats, Sunroof, Heated Driver Seat, Back-Up Camera, Premium Sound System, Satellite Radio, iPod/MP3 Input, Bluetooth, Aluminum Wheels, Keyless Start, Dual Zone A/C, Blind Spot Monitor, Heated Seats, Heated Leather Seats. Rear Spoiler, MP3 Player, Keyless Entry, Privacy Glass, Steering Wheel Controls. Mazda CX-5 Grand Touring with METEOR GRAY MICA exterior and BLACK interior features a 4 Cylinder Engine with 184 HP at 5700 RPM*. EXPERTS ARE SAYING Edmunds.com explains The way the 2014 Mazda CX-5 drives is a dynamic departure from the compact SUV segment's otherwise typical low standards. The brakes, suspension and steering are uncommonly capable, and in general the CX-5 is downright fun and confidence-inspiring on a curving road.. Great Gas Mileage: 32 MPG Hwy. A GREAT TIME TO BUY Was $16,291. This CX-5 is priced $200 below NADA Retail. Pricing analysis performed on 4/19/2019. Horsepower calculations based on trim engine configuration. Fuel economy calculations based on original manufacturer data for trim engine configuration. Please confirm the accuracy of the included equipment by calling us prior to purchase. Mazda3 i Sport trim. FUEL EFFICIENT 41 MPG Hwy/30 MPG City! CARFAX 1-Owner, LOW MILES - 25,658! Onboard Communications System, Keyless Start, Smart Device Integration, PREFERRED EQUIPMENT PACKAGE, Back-Up Camera, iPod/MP3 Input READ MORE! KEY FEATURES INCLUDE Back-Up Camera, iPod/MP3 Input, Onboard Communications System, Keyless Start, Smart Device Integration. MP3 Player, Keyless Entry, Remote Trunk Release, Steering Wheel Controls, Child Safety Locks. OPTION PACKAGES PREFERRED EQUIPMENT PACKAGE bright beltline trim, satin silver steering wheel spoke and HVAC control dial trim ring, Automatic On/Off Headlights, Wheels: 16 Alloy, Blind Spot Monitor w/Rear Cross Traffic Alert, Body-Color Power Folding Heated Exterior Mirrors, turn signals, Rear Seat Armrest w/Cupholders, Rain-Sensing Windshield Wipers, 2-speed and variable-intermittent. Mazda Mazda3 i Sport with LIQUID SILVER METALLIC exterior and BLACK interior features a 4 Cylinder Engine with 155 HP at 6000 RPM*. EXPERTS RAVE Edmunds.com's review says The front seats are comfortable and supportive, and the sporty bolstering nicely complements the car's nimble handling abilities.. Great Gas Mileage: 41 MPG Hwy. Pricing analysis performed on 4/9/2019. Horsepower calculations based on trim engine configuration. Fuel economy calculations based on original manufacturer data for trim engine configuration. Please confirm the accuracy of the included equipment by calling us prior to purchase. CARFAX 1-Owner, Extra Clean, LOW MILES - 32,611! FUEL EFFICIENT 41 MPG Hwy/30 MPG City! Moonroof, Smart Device Integration, Keyless Start, Cross-Traffic Alert, Blind Spot Monitor, Back-Up Camera, Aluminum Wheels, iPod/MP3 Input SEE MORE! KEY FEATURES INCLUDE Sunroof, Back-Up Camera, iPod/MP3 Input, Onboard Communications System, Aluminum Wheels, Keyless Start, Smart Device Integration, Blind Spot Monitor, Cross-Traffic Alert. Rear Spoiler, MP3 Player, Remote Trunk Release, Keyless Entry, Child Safety Locks. Mazda Mazda3 i Touring with Jet Black Mica exterior and Black interior features a 4 Cylinder Engine with 155 HP at 6000 RPM*. Non-Smoker vehicle, LOW MILES. EXPERTS RAVE Edmunds.com's review says The front seats are comfortable and supportive, and the sporty bolstering nicely complements the car's nimble handling abilities.. Great Gas Mileage: 41 MPG Hwy. A GREAT VALUE Was $15,291. This Mazda3 is priced $900 below NADA Retail. PURCHASE WITH CONFIDENCE CARFAX 1-Owner Pricing analysis performed on 4/22/2019. Horsepower calculations based on trim engine configuration. Fuel economy calculations based on original manufacturer data for trim engine configuration. Please confirm the accuracy of the included equipment by calling us prior to purchase. Excellent Condition, ONLY 18,605 Miles! Mazda3 4-Door Sport trim. FUEL EFFICIENT 38 MPG Hwy/28 MPG City! Keyless Start, Smart Device Integration, Onboard Communications System, Back-Up Camera, iPod/MP3 Input. AND MORE! KEY FEATURES INCLUDE Back-Up Camera, iPod/MP3 Input, Onboard Communications System, Keyless Start, Smart Device Integration. MP3 Player, Keyless Entry, Remote Trunk Release, Steering Wheel Controls, Child Safety Locks. Mazda Mazda3 4-Door Sport with Snowflake White Pearl Mica exterior and Black interior features a 4 Cylinder Engine with 155 HP at 6000 RPM*. Serviced here, Non-Smoker vehicle, Originally bought here, Local trade, LOW MILES. EXPERTS CONCLUDE Edmunds.com explains The steering delivers excellent on-center feel at highway speed, and your inputs feel direct and precise.. Great Gas Mileage: 38 MPG Hwy. AFFORDABLE Reduced from $15,440. This Mazda3 4-Door is priced $1,800 below NADA Retail. Pricing analysis performed on 4/13/2019. Horsepower calculations based on trim engine configuration. Fuel economy calculations based on original manufacturer data for trim engine configuration. Please confirm the accuracy of the included equipment by calling us prior to purchase.